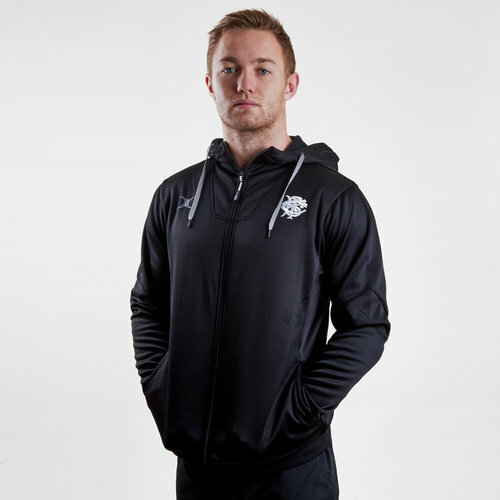 Cheer on the World’s most famous invitational rugby side when you pull on these Barbarians 2019 Pro Full Zip Hooded Rugby Sweat from Gilbert. This hooded sweat is made from 100% polyester for ultimate comfort. 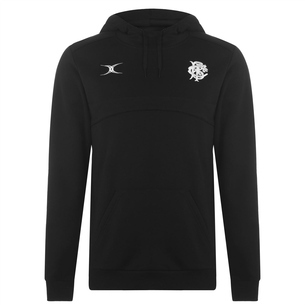 It is the perfect item to wear during training or post-game for warmth. It has been crafted with moisture-wicking fabric in a casual fit with an elasticated hem and cuffs. The unzipped pockets allow for valuables to be stored away or hands to be kept warm. The hood is high front with lining and a drawstring for the perfect fit. The Gilbert logo is on the right and the Barbarians badge on the left.